An alternative version of the original Derideal prologue "The Dream", writen by Andrea Barra specially for the Project Prime Universe. Meet Rob, the next prototype of a new race of Xenos developed by the Consortium and the events occurring during his first official mission. Rob and Kitty's mission turns out to be something completely different. Rob and Kitty's darkest hours. The conclusion of the Custus story. Follow the adventure of commander Nova and the Nodriza's crew, one of the Exi clan space ships in exploration mission across the solar system. 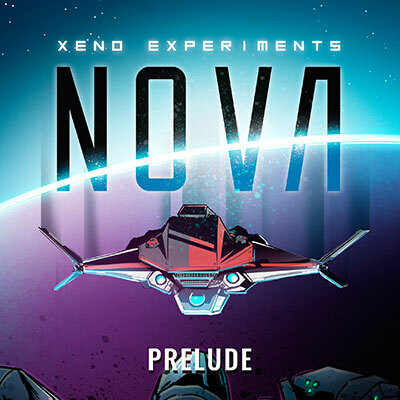 Xeno experiments Nova is a story that takes place around 150 years in the future, after Derideal and Custus storylines, in a futuristic setting in which humanity is gone from the planet and the Xeno creatures inhabit Earth freely. This is a prelude story, meant to present the future world and maybe further development of new stories in this setting.